Fassinating Fassbender - A Michael Fassbender Fan Blog: Michael is a Hollywood Stah! Michael is a Hollywood Stah! Here is a fantastic interview with Michael Fassbender from the Irish Voice posted this morning! It is so much fun reading these great articles on Michael and seeing other people come to appreciate him like we have for years now. Below is just a brief intro into the article, and the link takes you to the direct source. 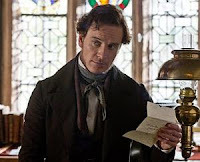 I must say, from this moment on, Michael Fassbender is no longer 'ours' here in Fassyland... he's a Hollywood Leading Actor now and we wish him the best!